You will agree with me that we need all the Fuel Management And Saving Tips one can get at this time, at a time fuel is selling at #145/Lr you don’t want to ignore any Fuel saving tips or advise around, The economy is something else, in fact the Country Nigeria is not doing so good economically and we do hope our leader’s, starting from the President Muhammad Buhari Down to the Local Government Chairman to do all they can to serve us well. 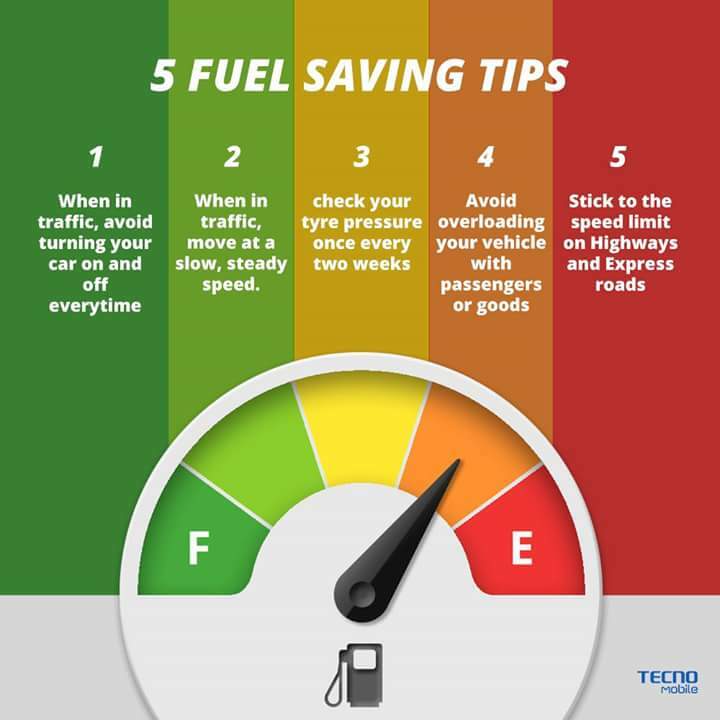 Tecno Mobile In their own little ways, offered some tips to help people manage and survive the global economy meltdown at the moment, Chinese Smartphone giant, Tecno Mobile released what they call “Five Fuel Saving Tips” to help people know the basics of fuel management while using their cars. 5. Stick to the speed limit on highways and express roads.